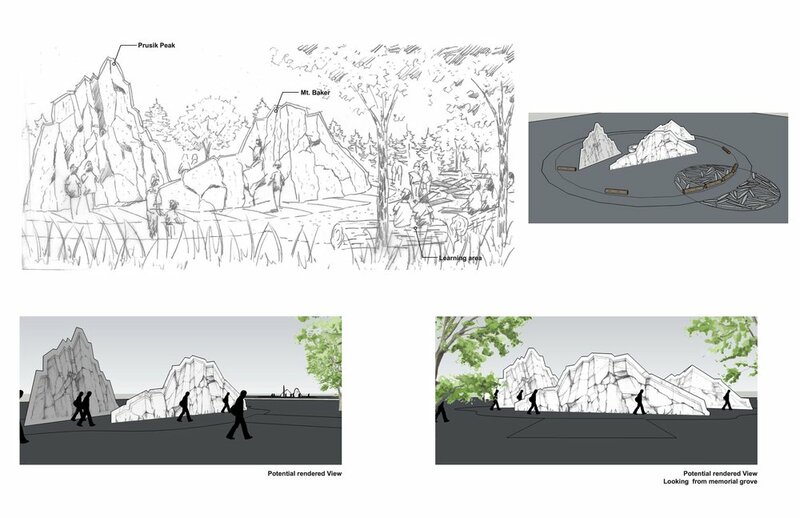 We have reached our fundraising goal of $150k to create a state of the art outdoor rock climbing/bouldering wall at Point Defiance Park in honor of Liz Daley. Through a variety of efforts the LRC will raise sufficient funds needed to design, locate and construct a rock climbing/bouldering wall. The LRC plans to provide a natural looking structure available to climbers of all levels. Our goal is to create a state of the art, industry leading climbing facility best suited for outdoor public use. The end result will give the community another outdoor activity that they can enjoy with friends and family. Since reaching our fundraising goal of $150k the Liz Rocks Campaign has been working closely with Greater Metro Parks Foundation to provide the community of Tacoma with a state of the art bouldering/climbing wall. In the months ahead, the Liz Rocks Campaign will be researching existing public outdoor climbing facilities, weighing the pros and cons of various design options across the country. We welcome public input on design considerations. Please email Liz Rocks Campaign ideas for consideration by the Liz Rocks Campaign. Then we will begin conversations with Metro Parks Tacoma around which design will be the best fit for Point Defiance Park, and will allow Liz Rocks to serve the greatest number of people over the years ahead.